A differentiating factor between competing businesses is the strength of their customer services. Business communications to customers plays an important part in the perceived quality of the customer services on offer. SMS is the preferred communication channel for customers as it can deliver short, concise and relevant notifications, keeping them in the loop with whats going on. Using Microsoft Flow and TxtSync it is very easy to send SMS out of Salesforce and instantly improve your customer communications. In this guide we will explain what Microsoft Flow is, and demonstrates how it can be utilitised to send SMS through TxtSync from Salesforce triggers. The example we will use is to send an SMS to a contact when a case has been raised. The SMS will act as an acknowledgement that the case has been logged and inform the contact of their case reference number. If you are already familiar with Microsoft Flow please feel free to skip to the how to section. As a business you’ll likely be using various software to drive parts of you business workflow. There comes a time where a workflow needs to span across your different software. This is where Microsoft Flow steps in. Flow is a service that allows software vendors to create connectors to their products. These connectors provide you with some simple triggers and actions that you can base your workflow on. The best way to imagine Microsoft Flow is that its the glue between different products. It gives you the ability to create your workflow processes without the need of a developer writing any code. TxtSync is a cloud-based SMS service that delivers global SMS. Through TxtSync you can send and receive SMS and track delivery reporting. You can use TxtSync to manage contacts and deliver targeted marketing material directly to their mobile phones. 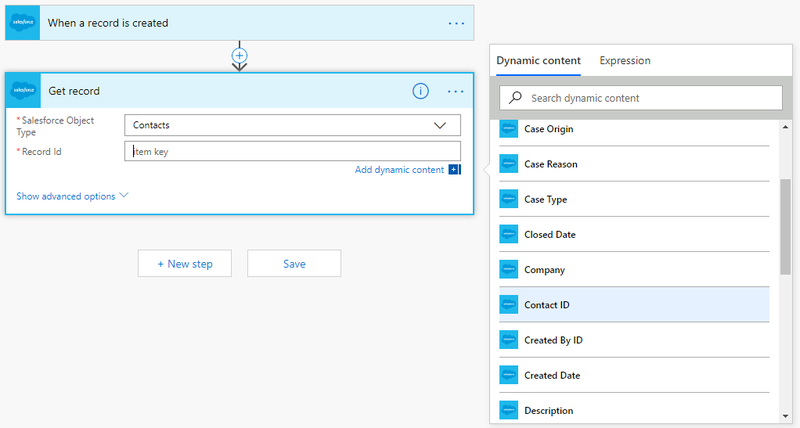 TxtSync has built a Microsoft Flow connector that makes it easy for you to send SMS as part of your Microsoft Flow actions. Alternatively you can trigger workflows on receiving an inbound message. How to Send an SMS from Salesforce using Microsoft Flow? In this how to guide we will take you through the process of sending out an SMS when a support case is raised in Salesforce. The message sent out will inform the contact that the case has been logged and provide them with the case reference number. If you haven’t got a TxtSync account you will need to create one for free here. TxtSync gives you some free credit to get started with. 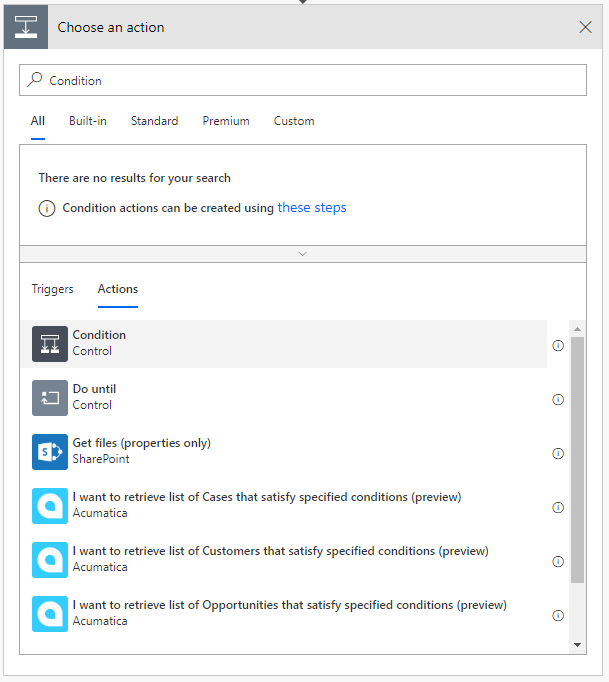 Create an application for Microsoft Flow by clicking here. This will provide you with a Client Key and Secret that’s used for authentication in the TxtSync flow connector. Take note of TxtSync’s free shared numbers that you can use to send SMS here. Please Note: You can purchase your own dedicated number or setup a free Sender ID. This is recommended when your serious about going live with your solution as the number or Sender ID represents your brand. Now select My flows – click New and select “Create from blank”. Flows always start with a trigger. 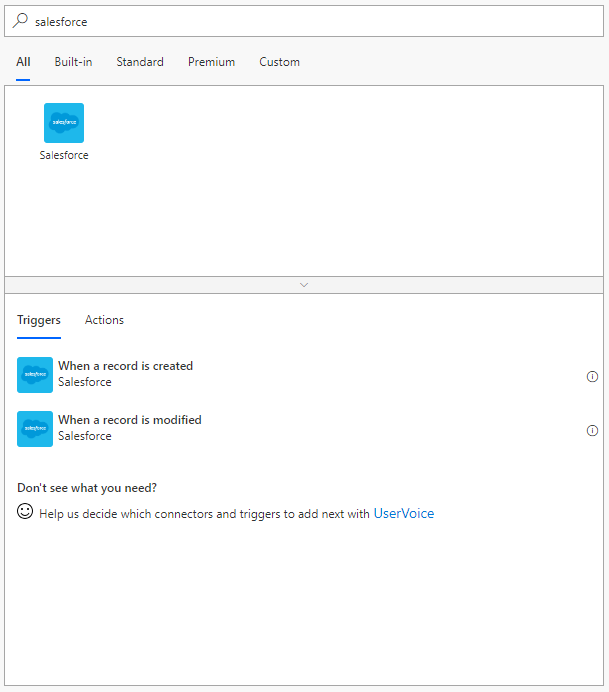 In our example the trigger connector will be Salesforce. In the connector window search for Salesforce. Under Triggers select “When a record is created”. 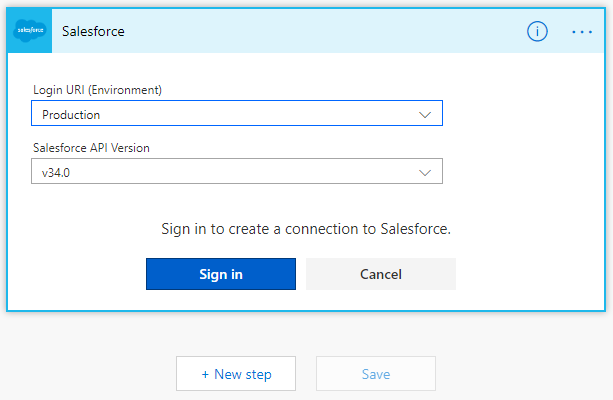 If this is the first time you have created a Salesforce flow you will need to enter your connection details by signing into Salesforce. For the Salesforce Object Type select Cases. The next step is to create an action that you want to perform. The first thing you need to do is to get the contact record from the case so that the contacts mobile number can be accessed. 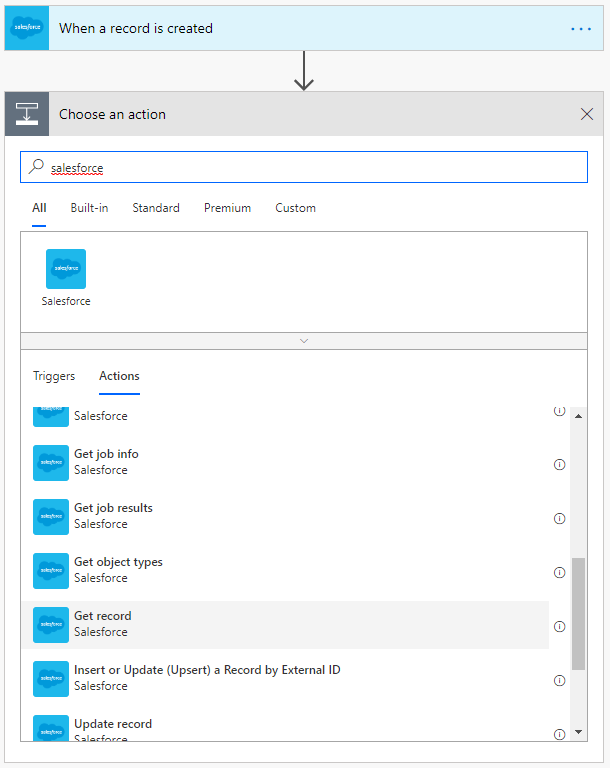 Click “New step”, search for Salesforce and choose the “Get record” action. Set the Salesforce Object Type to be Contacts. For the Record ID use the Dynamic content to pass in the Contact ID on the Case record. Select “New step” and search for Condition. In the “Choose a value” box use the Dynamic content to select Mobile Phone under the Get Record heading. Change “is equal to” to “is not equal to”. 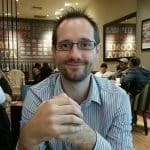 In “Choose a value” use an expression of null. Then select OK. Within the “if no” box select “Add an action”. Search for terminate and select the action. Change the Status to succeeded. This will terminate the flow if the contact doesn’t have a mobile phone. Within the “if Yes” box select “Add an action”. Search for TxtSync and select “Send an SMS”. You will need to create a connection to TxtSync using the Client Key and Secret that you generated earlier in the guide. Give your connection a name and click Create. Within the From box enter one of the free TxtSync shared numbers or your own dedicated number if you have purchased one. Within the To box use Dynamic content to pass in the mobile phone of the contact. Within the Message box use a combination of Dynamic content and text to compose a message to inform the contact about the support case. Save your flow and in the top left hand corner give your flow a meaningful name. Until next time, happy flowing!!! If you have any questions about an SMS integration with Microsoft Flow and TxtSync please get in touch.